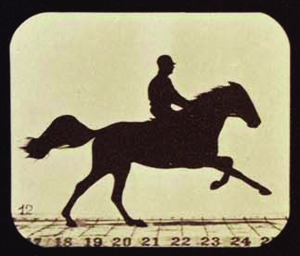 NPR Contest: Following In Muybridge's Footsteps : The Picture Show NPR's Picture Show hosts a Muybridge-inspired contest. This feature requires version 9 or higher of the Adobe Flash Player. Get the latest Flash Player. 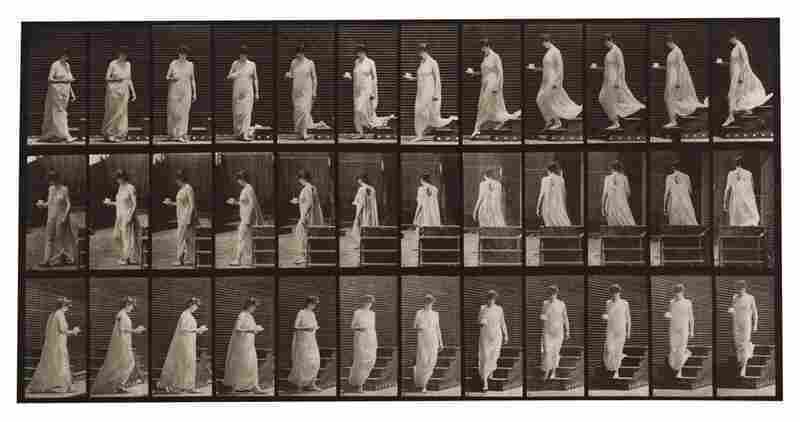 Aside from the fact that he insisted on incorporating extra vowels into his name and killed his wife's lover, Eadweard Muybridge was an unusual fellow. Long before the word "movie" even existed, he was playing around with stop-motion animation -- devising ways to freeze sequences of motion and then reanimate them. How to Submit: Videos should be submitted to YouTube through NPR's YouTube Direct channel below. Make sure to tag them NPRMuybridge. Photos should be submitted through Flickr and tagged NPRMuybridge. We will be getting in touch with you through Flickr and YouTube mail if your piece has been selected. You'll know if you've submitted photos correctly if they show up here. As the Corcoran Gallery of Art opens the first-ever retrospective of his work, NPR wants to honor him with a little contest. 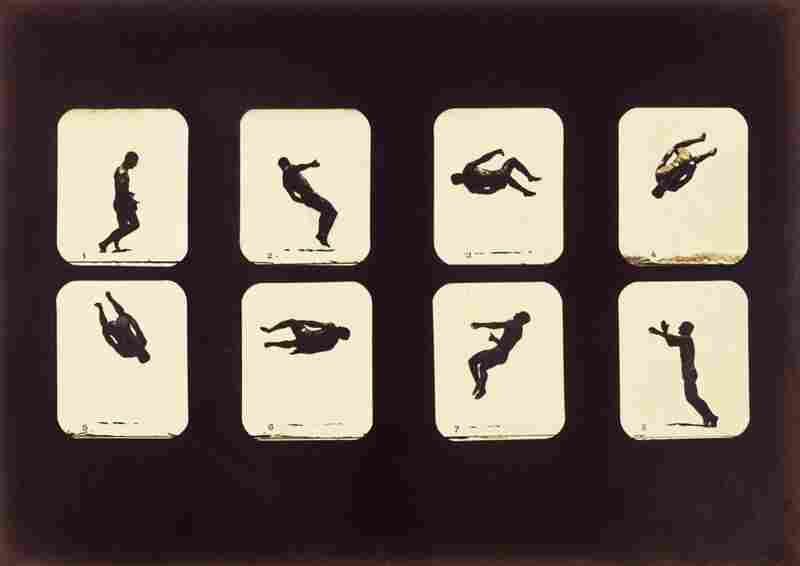 The top three Muybridge-inspired creations will be featured on the Picture Show blog, as well as the official Corcoran Muybridge exhibition Web site. 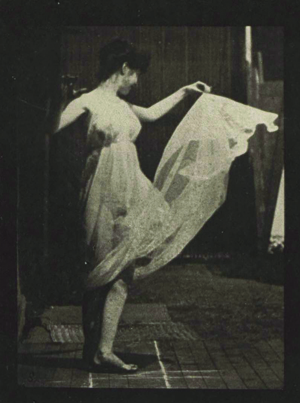 Twisting Summersault, albumen silver print, 1879. Horses Running, albumen silver print, 1879. Athletes Posturing, albumen silver print, 1879. Emptying bucket of water, collotype on paper, 1887. 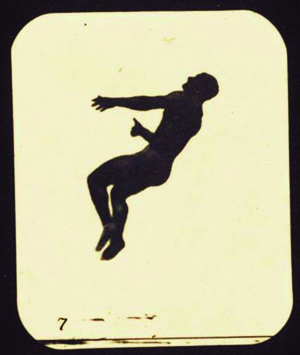 Descending stairs, turning, cup and saucer in right hand, collotype on paper, 1887. 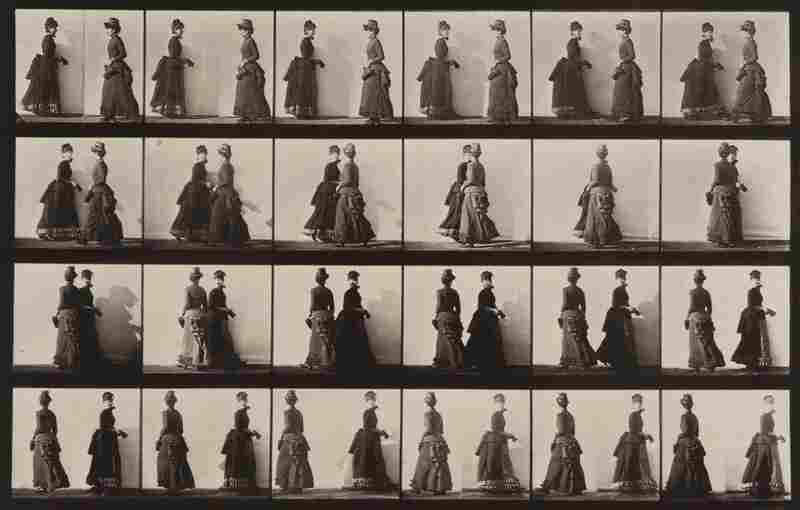 Walking, two models meeting, and partly turning, collotype on paper, 1887. Anything that is inspired by this bearded genius will do. It may be a stop-motion animation film or a single image. Perhaps, like him, you'll find a way to shed light on the nature of motion. Or maybe you'll simply offer a modern take on his eccentricities. As part of our Corcoran collaboration, we are looking forward to the special participation of students from Corcoran College of Art + Design and will be selecting at least one winner from Corcoran student submissions. The contest is open to anyone from the public, however. (NOTE: Corcoran students, please tag your photos and video with Corcoran along with NPRMuybridge). Your submission can be something you create in the coming weeks or something you created long ago. But no matter what, we need it by May 15. And we need you to follow the instructions above very carefully so we can actually see your submissions. 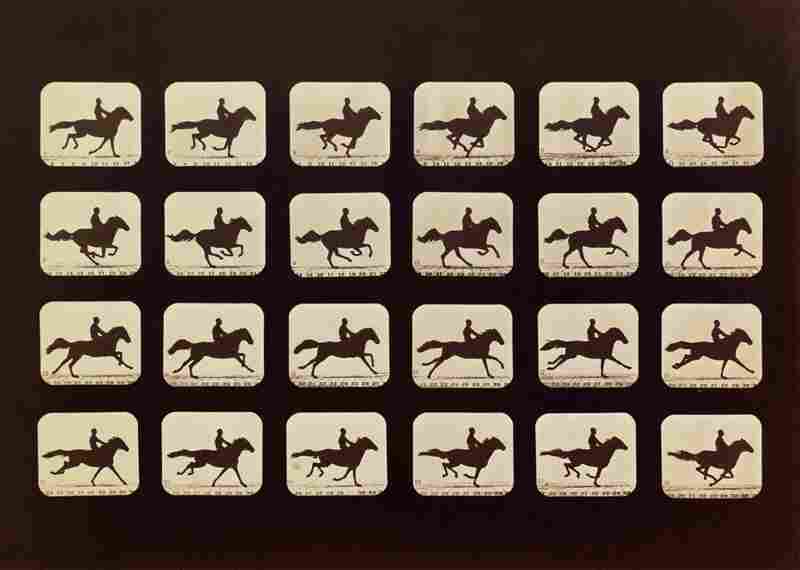 In the early 1880s, Muybridge awed crowds with his projections of animals and people. Consequently, he "forever altered the way people would perceive and experience the passage of time," and "exploded the conviction that photographs could only record and document a moment of time," Philip Brookman, who curated the Corcoran retrospective, explains in a book about the exhibit. Muybridge's influence is way too extensive to go into here, but a few examples include this Crystal Method video, this U2 video and this Francis Bacon painting. Questions or concerns? Leave them in the comments.